Soil, especially topsoil, is a valuable commodity. It is bought and sold by volume rather than by weight. The standard units of volume are the cubic yard and the cubic foot. Builders may refer to a cubic yard as a "yard of soil." One cubic yard is the volume contained within a cube with sides 3 feet long. It is equivalent to 27 cubic feet. One scoop of an excavator bucket contains half a cubic yard, so a cubic yard is also known as "two scoops." Moisture content, stones and the type of rock from which the soil is made influence the weight of soil. A cubic yard of topsoil weighs an average of 2,700 lbs. -- dry sand weighs the same -- but compact wet sandy soil weighs about 3,200 lbs. per cubic yard, according to data provided by the Department of Ecology in Washington state. 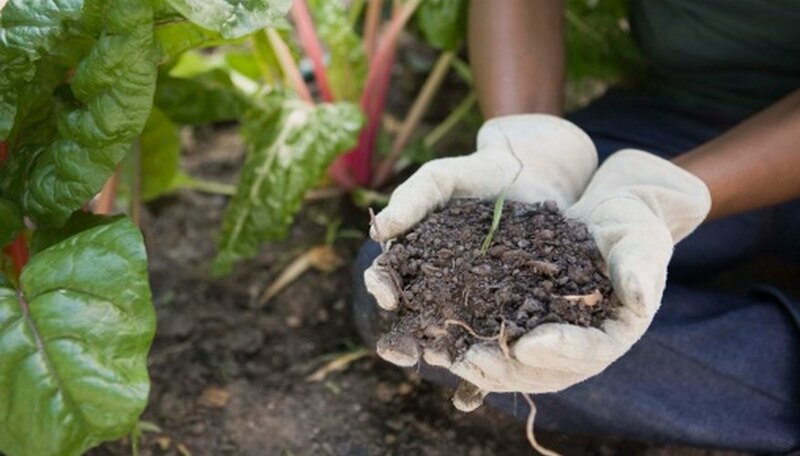 Vegetable gardens require a minimum depth of 10 to 12 inches of topsoil. One cubic yard of topsoil is enough to create a vegetable patch measuring 27 to 33 square feet. It is also enough soil to support a lawn measuring 81 square feet. How Many Pounds of Soil to a Yard?